We were hosted at The Old Phuket hotel near Karon Beach. It has had a recent make over and we were situated in the new wing of the property, which was really clean and comfortable. Bathrooms were awesome, featuring floor to ceiling windows over looking the main swimming pool, with free standing bathtubs. A rainfall shower set amongst natural pebble floor gave a very unique feel to finish off. The hotel features a range of rooms, including private jacuzzi suites, ideal for honeymooners! From the hotel you can wander down to Karon Beach, through a small parade of local shops and the hotel’s very own café. Karon Beach was excellent for swimming and surfing, as there is a constant swell. There were an abundance of sunbeds, life guards and beach vendors a plenty with fabulous bargains to be had! 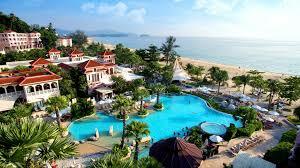 For a superb beach hotel I would suggest Centara Grand. The whole resort had a beautiful ambience and fabulous attention to detail throughout. Many of the most beautiful resorts of Phuket are situated on pristine powder beaches in the north of the island, which is an excellent base to island hop from. 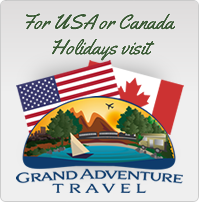 You could nip across to Koh Yao, Phi Phi Island and Koh Phangan to name but a few. You can even dip your feet in the ocean resort used in the movie ‘The Beach’. When in Phuket you must give a Thai cookery morning a go. Also have a massage at one of the many reputable massage shops! PATONG – Home of the ‘Lady Boy’ – Anything goes in this village! I would recommend just visiting for a couple of hours. It was totally fascinating, but definitely not a family destination! There is one main street, flanked by bars and adult theatre venues. 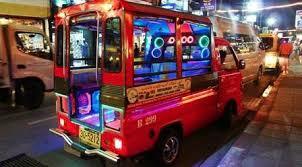 When in Phuket, its hard to resist a Tuk Tuk ride… These are Tuk Tuks with a difference – discotheques on wheels! An excellent, inexpensive way to get from A to B quickly. The cost to go from Karon Beach to Patong area (15-20 mins away) was roughly £5 each way… An absolute bargain and tremendous fun! Along this route you will also find a food and tourist market, which is open every afternoon/early evening. Fabulous for trying out your bartering skills. We stayed at the Pathumwan Princess Hotel which is perfectly situated in the heart of the shopping and arts district. It even boasts a private entrance to MBK shopping mall from the lobby. The Skytrain stop was just outside the main entrance, perfect for sightseeing around the city. The rooms were fairly compact, but included all that you would need for a short stay in the capital. I would highly recommend eating in the hotel after a busy day shopping. The seafood buffet was probably the best buffet I have ever had in a hotel! There is a super coffee shop in the lobby, selling pastries and giving an excellent caffeine fix. The Italian restaurant on the seventh floor is also well worth a visit. The swimming pool, also located on the seventh floor, was large and sunny with two shaded hot tubs for your relaxation. For those looking to keep fit, this hotel features the only roof top running track in Bangkok, with spectacular city views! 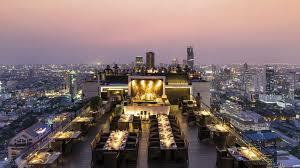 For a small boutique option I would suggest the LIT Bangkok hotel – a real hidden gem. This is an architectural phenomenon. Fantastic spa and amazing restaurant. 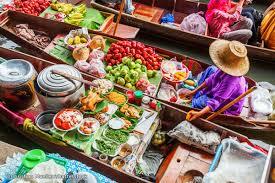 All located in a residential area so you can real get a feel for the Thai way of life! Taxis in the city are very affordable and plentiful. I was surprised at the lack of road rage in the capital, but apparently you get fined for using your horn in the inner city and although roads are gridlocked most of the time, drivers seemed to be courteous and relaxed. I would recommend getting a private tour in Bangkok – you can see all the places of interest, both sides of the Chao Phraya river. We enjoyed the night market in Pat Pong district. This is where you can get replica designer goods a fraction of the price! If funds allow, visit the Banyan Tree Hotel. For me this was the highlight of Bangkok!! There are two restaurants that took my breath away. ‘Vertigo’ frequently tops the ‘Best restaurants of the world’ list , along with the ‘Sirocco’ Restaurant at the State Tower Lebua Hotel. Both of these restaurants feature sky bars and you can while away a whole evening at either of these hotels, soaking up the ambience and views! Thailand for me is the land of smiles and opportunity. There are so many variations on twin/triple centre holidays to explore, and on the whole Thailand is incredibly good value for money. The majority of hotels offer exceptional quality and service with very comfortable surroundings – and it’s easy to see why it’s such a popular destination for holiday-makers from all walks of life!